Jakarta will have a modern fish market, the first ever to be built by the Government in North Jakarta, in the near future. The groundbreaking of the modern fish market construction was conducted on Wednesday in the presence of Maritime Affairs and Fisheries Minister Susi Pudjiastuti and Jakarta Governor Anies Baswedan. "Hopefully, the fish market will become a model for similar fish markets across Indonesia," Nilanto Perbowo, director general for strengthening of aquaculture product competitiveness of the maritime affairs and fishery ministry, stated. 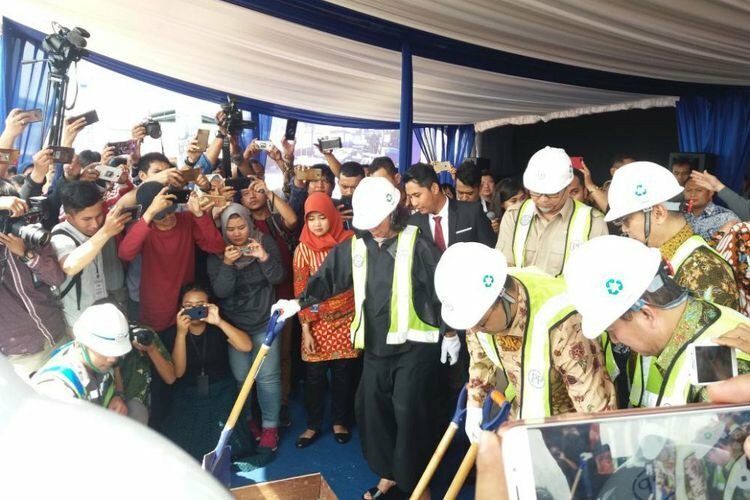 The market will be built on a plot of land measuring 22 thousand square meters in Muara Baru seaport area, North Jakarta, and will have three stories. Each floor will have different functions. The first floor is for wet fish and other aquaculture products. The second floor is for fresh fish kiosks, and the third floor is for laboratory and office. There will be some 150 kiosks that will sell fresh fish, dried fish, and fishing equipment, among other things. The market will also have water waste treatment and packaging facilities.